Click here – 1-773-600-1472 – on your mobile for roadside assistance in Chicago starting at just $55! We provide rocket-fast roadside assistance in Chicago, more precisely to every corner of Chicago. 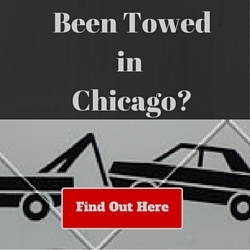 We have tow trucks manned with ultra-capable tow truck drivers on both the North and South side of Chicago. Flat tires, dead batteries and getting stuck in the snow are among a number of maddening but common occurences in Chicago. Let us help you make quick work of your roadside assistance needs and get you back on schedule quickly and safely. When you need roadside assistance in Chicago it’s always best to call a towing company near you. This is the reason we have manned tow trucks ready and waiting throughout Chicago. We want to get to you fast, change your tire or jump your battery and help you get aong with your day. Our roadside assistance team in Chicago has an average response time well under 20 minutes, making it one the most responsive roadside assistance companies in the big city. How do we say it? Low cost, affordable or just down right cheap road side assistance in Chicago. We’re all about it. Our low overhead and experience go a long way towards keeping our roadside assistance rates low but it’s our outlook that might be the number one reason you’ll pay considerably less with us than most other towing companies in Chicago. Many towing & roadside companies in Chicago operate under the premise that once they get a call from a vehicle owner that the person calling is in a situation where they’re ripe to be taken advantage of. A person who is desperate to get back about their day and a service that noone thinks about until they need it. High prices or low quotes that magically grow into large bills once the work is done are both things that you must be wary of. We’ve been fortunate to put together a small tight-knit group of tow truck drivers in Chicago that operate with an eagerness to help. Yes we’re all still trying to make a living but we know we can provide most of these services quickly and affordably so there’s no inflated pricing or bait and switch tactics. Your average jump start or flat tire change in Chicago is going to be around $55 and that covers about 75% of the roadside assistance calls we answer. Enough to cover the cost of fuel to reach you, the wear & tear on our tow trucks and make a decent living. Are there circusmtances that will make prices different, of course. Getting service on the highway or another hard to service place makes our job a bit more difficult and lengthy and as you can probably appreciate we charge a bit more. One thing that is carved in stone is that no other roadside assistance company in Chicago will give you the level of service and expertise at a better price than we will. Call us today for all your Roadside Assistance needs in Chicago. 24 HOUR TOWING EVERY DAY OF THE YEAR.